If you are colorblind, and the condition is affecting your quality of life, you may want to seek treatment. For some people, the inability to see various shades of red, green or blue can create problems fin dinging employment, driving safely and even reading. 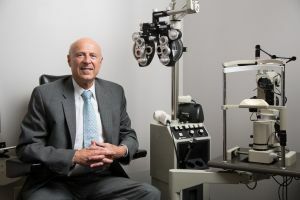 A better understanding of the disease and its treatments will help you take charge of your eye health as you seek to enjoy a normal quality of life. Some people are born with colorblindness, while others develop it after an injury or illness. For those who are born with the condition, it may not be discovered until a routine visit to the eye doctor. If you are developing new color blindness, you may notice that while you can see many colors, some are hard to distinguish. Some individuals who are severely color blind are only able to see in black and white. Others will find that they cannot distinguish between shades of colors or between two specific colors, like red and green. Some people with colorblindness experience quick, side-to-side movements of the eye in addition to the problems distinguishing colors. If you think that you are colorblind, you need to see an eye doctor for diagnosis. Using pictures containing colored dots, your eye doctor will be able to diagnose your colorblindness and its severity. The sooner you get a diagnosis, the best your chance of successful treatment will be, so schedule your appointment as soon as you start noticing problems. The treatments chosen for your colorblindness will depend on the type of colorblindness, its extent and its cause. Sometimes, no treatment is possible, in which case your eye doctor will help you learn to function normally with your condition by learning to search for cues other than color in the world around you. Sometimes, colorblindness caused by cataracts or injury can be treated with surgery. Your doctor will be able to determine if you are a candidate for this. Gene transfer is another up-and-coming treatment option for colorblindness. For most people, no true cure is available. However, colored contacts or glass lenses can help reduce the impact of your color blindness. In addition, glasses that block glare can help. If you suspect that you or someone you love is colorblind, schedule an appointment with an eye care professional. The sooner a proper diagnosis is made, the better the chance of successful treatment or adaptation to life with colorblindness.